We haven’t had a huge season for rain. According to the Bureau of Meteorology, ‘Statewide rainfall was 33% below the long-term July mean of 70 mm, the driest July since 2002, and large areas in the north and east of Victoria, and to the north of Melbourne had rainfall totals in the driest 10 per cent on record for July.’ This follows a dry autumn, with rainfall almost 40% below the long term average. Tayloria octoblepharum, Spring Gully road, August 14: a characterful history. But we’ve had plenty of dampish days: very good for moss, which has given much of our bushland its intense green winter tinge. Get down and enjoy it! The picture shows a patch of Tayloria octoblepharum, a characterful plant with cigar shaped spore heads. It favours rotting matter. 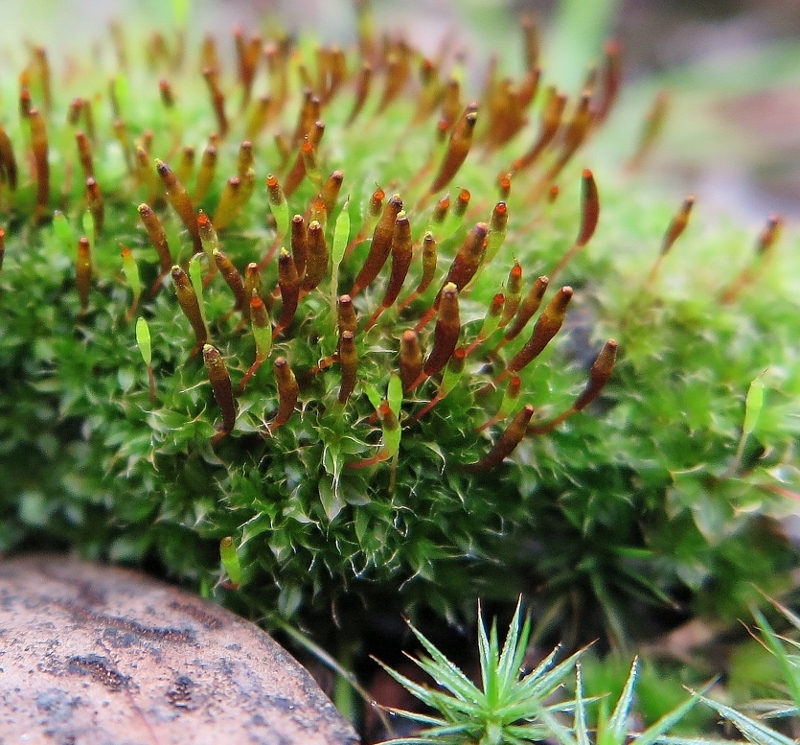 A gruesome detail: the moss was first described for modern science from a sample collected from the decaying remains of a Tasmanian bushranger! You can find this and other edifying details from FOBIF’s Mosses of dry forests of south eastern Australia. The second edition of this book is almost exhausted, and a third printing is planned for the coming months.